Indulge in a special treat with our classic brownie stix. Fudgey on the inside and covered with a delicious Belgian chocolate shell on the outside - it's a chocolate lover's dream! 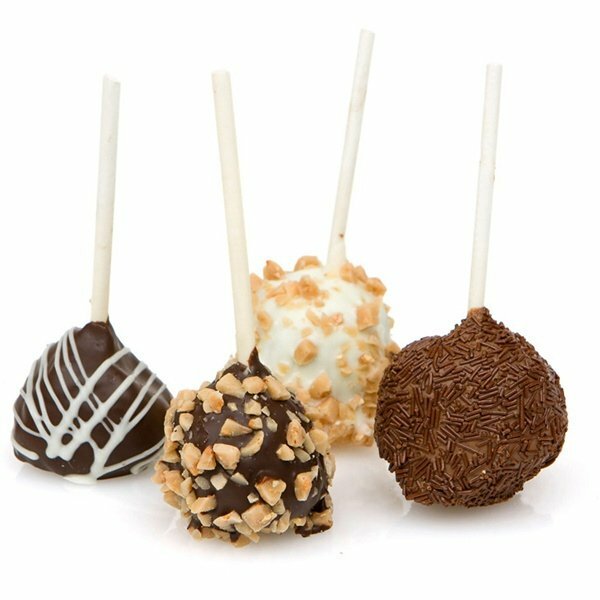 Our decadent brownies are formed into ball, put onto lollipop stick and then are hand dipped in Belgian Chocolate and hand decorated with Belgian Chocolate Drizzles, Sprinkles and English Toffee. Each brownie is individually wrapped in a cello bag and finished with a twist tie. Note that minimum order is 12.